Please review all of the information below to ensure you have an enjoyable event experience at the Minnesota Recruiters 56th consecutive sold-out event. As Recruiting and Human Resources professionals, we’ve likely all experienced the dreaded back-channel reference that goes south. You’ve sourced and engaged a candidate where there’s a unanimous “yes” from the interview team and then the hiring manager completes a back-channel reference. After hearing mixed feedback the hiring manager wants to cut ties and move in a different direction. 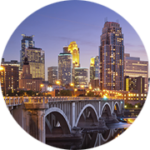 We’re an informal network of 3,000+ Minnesota Corporate, Consulting, Search Firm Recruiters & HR professionals.